Overview: Tinyphoto is quick and easy to use for Batch Conversion, Resize Photos and Crop Photos. Reduce image size or crop, shrink, resize images in JPEG|PNG format to the exact pixels, percentage or proportion you specify for posting them for Facebook, Twitter, Pinterest, Reddit, Tumblr or any other social media to meet there size requirment. When the size of your photos matters, you often have to give up its quality. You can resize your pictures and images with exact pixel requirements keeping the best quality. 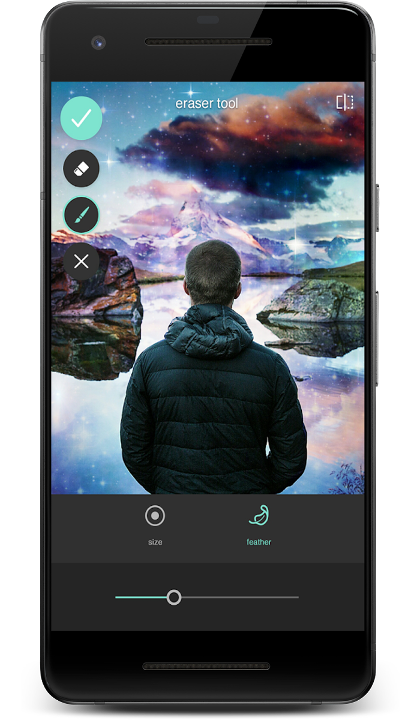 TinyPhoto Photo Resizer / Compress / Converter: comes with Batch feature where you can resize multiple images at once and can share all resized pictures as zip directly from the app. TinyPhoto Photo Resizer / Compress / Converter: is a fast and easy to use image optimizer tool which gives your digital images the perfect size and configuration to suit a wide range of applications. Whether it’s for a social media profile, product photo for your online store, or an e-newsletter, fast and easy image resizing makes your life easier. With the help of TinyPhoto Photo Resizer / Compress / Converter you can resize, shrink, grow and crop your photos, images and pictures for free. TinyPhoto Photo Resizer / Compress / Converter helps you reduce picture size keeping the best quality. TinyPhoto Photo Resizer / Compress / Converter is a utility app that lets you resize the image by selecting the right resolution. TinyPhoto Photo Resizer / Compress / Converter is designed to help you resize images quickly and conveniently (easily). TinyPhoto Photo Resizer / Compress / Converter helps you resize photos before posting them on Instagram, Facebook, Twitter, Pinterest, Reddit, Tumblr, Google+, VKontakte, KakaoTalk, etc.